The Fur Trade/Mountain Man era would have never occurred had it not been for the existence and influence of one Thomas Jefferson. So, let’s backtrack to the beginning by detailing the life of this great leader. Born to a successful planter and surveyor, Peter Jefferson, and Jane Randolph, a member of one of Virginia’s most distinguished families, Thomas inherited a considerable estate. Jefferson began building Monticello at the age of twenty-six years old. Three years later, at the age of 29, he married Martha Wayles Skelton, a widow, with whom he happily shared life until her death ten years later in 1782. During that ten years, six children were born, with only two surviving to adulthood. Jefferson never remarried. He maintained Monticello as his home throughout his entire life. From his inheritance and through his marriage, Jefferson owned 200 slaves, with almost half under the age of 16. 80 of these slaves lived at Monticello and 120 lived on adjacent Albemarle County plantations in Bedford County on his Poplar Forest estate. In his lifetime, Jefferson freed the children born into slavery by Sally Hemings. More on that later. 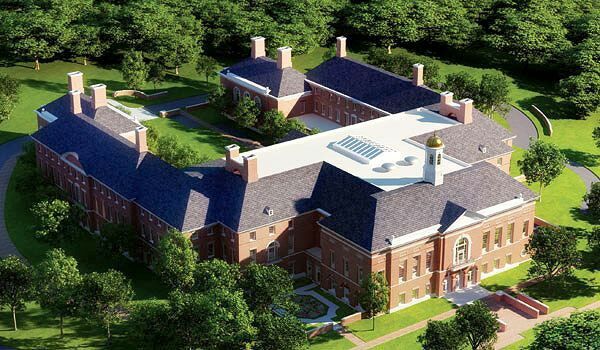 Jefferson attended the College of William and Mary, where he learned and then practiced law. In his early professional life, he served in local government as a magistrate, county lieutenant, and member of the House of Burgesses. 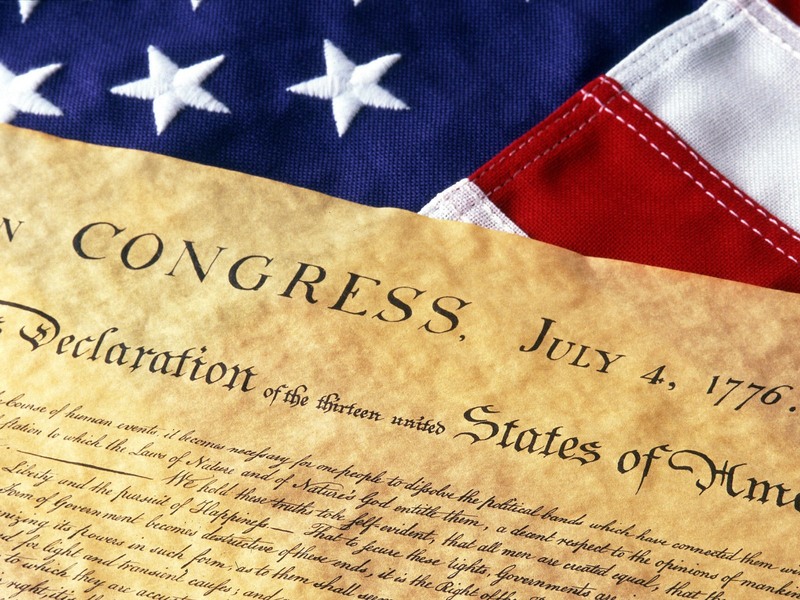 In 1776, as a member of the Continental Congress, he was chosen to draft the Declaration of Independence. The document proclaims that all men are equal in rights, regardless of birth, wealth, or status, and that the government is the servant, not the master, of the people. 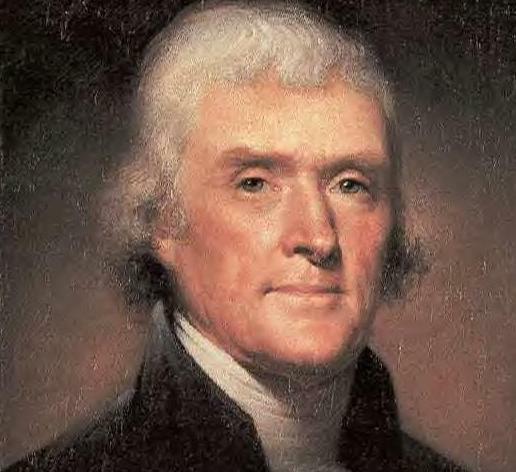 When Jefferson left Congress in 1776, he returned to Virginia and served in the legislature. He was elected and served as governor from 1779 to 1781. During his last year as governor, he was charged with failure to provide for the adequate defense of Richmond although he knew a British invasion was imminent, and of cowardice and “pusillanimous conduct” when he fled the capital and returned to Monticello during the moment of crisis. In June 1781 he retired from the governorship. 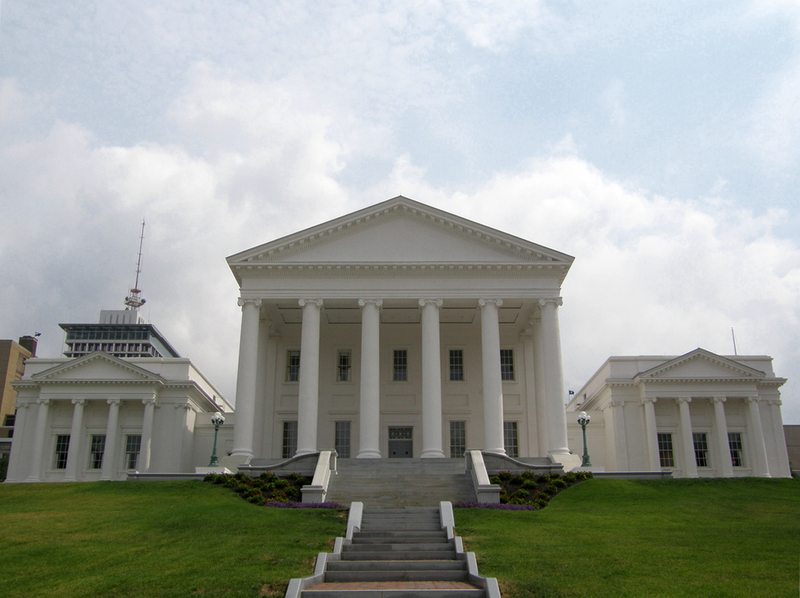 The Virginia assembly subsequently voted that “an inquiry be made into the conduct of the executive of this state.” Jefferson was exonerated. In fact, the assembly unanimously voted a resolution of appreciation of his conduct. The episode, however, left Jefferson bitter about the rewards of public service although his hiatus from public service lasted a mere 3 years. He became a trade commissioner for France. It was at this time that he met Sally Hemings, who was his deceased wife’s half-sister and also a slave on his plantation back at Monticello. She was 14 years of age when she accompanied Thomas Jefferson’s youngest daughter Mary (Polly) to Paris after the death of her sister, Lucy, from whooping cough. Jefferson was 44 and, at the time, 7 years a widower. His daughter, Polly, and Sally stayed for two years in Paris. 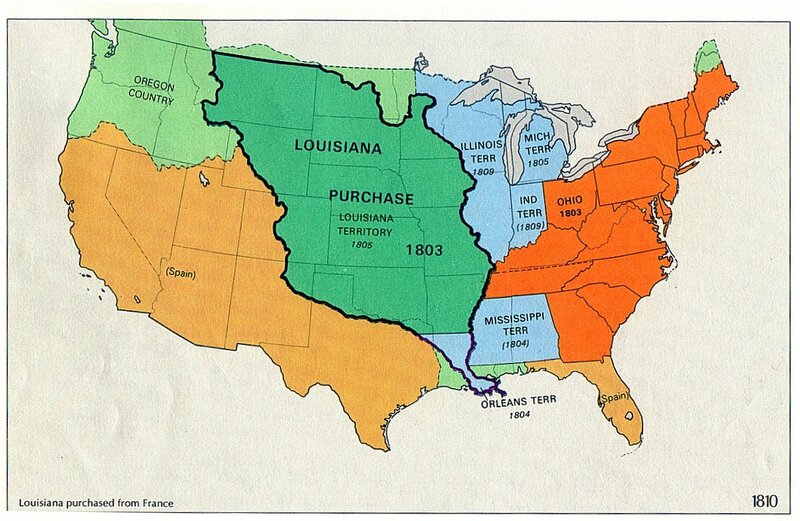 Because slavery was abolished in France after the Revolution in 1789, Sally was paid a wage of approximately $2 per month by Jefferson while she lived in France. When Jefferson announced his intended return to the USA, Sally could have stayed in Paris and would have been free. It is said she based her return to the USA, as a slave, upon a promise by Jefferson to free any/all of her children when they turned 21. Sally did not work in the fields, nor did any other slave of mixed heritage. 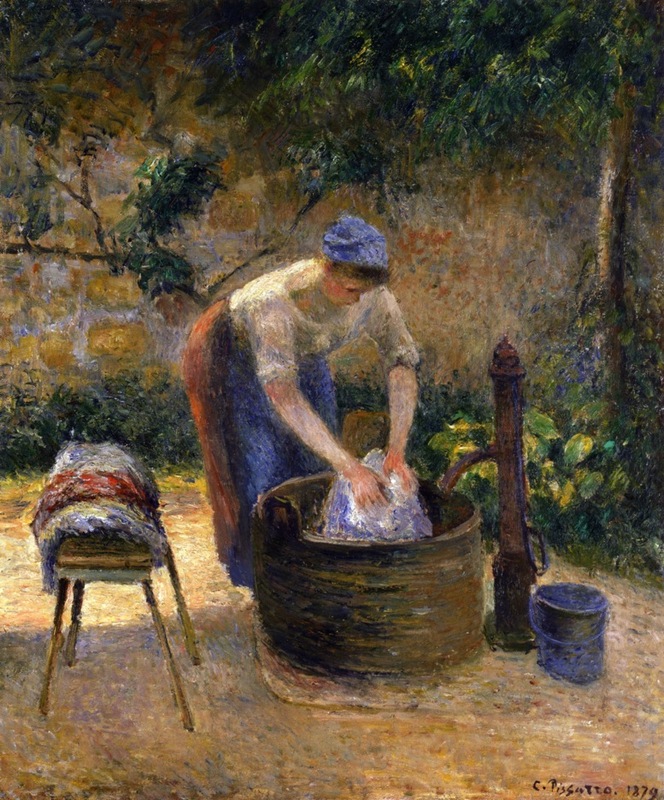 She worked in a domestic capacity at his estate. It is said that Jefferson started what would be a 35 year relationship with Sally Hemings while in Paris. 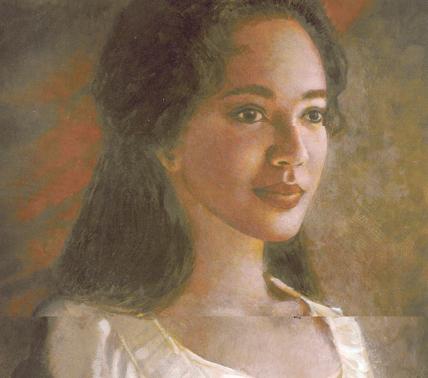 Sally Hemings’ first child died soon after her return from Paris in 1797. Jefferson recorded slave births in his Farm Book. Unlike his established practice of noting the fathers of all other slaves, he did not indicate the father of Hemings’ children. It was not unusual for men to take slave women as concubines during that time. All that was asked is that they be discreet. Marriage for a slave was illegal, although many took on common-law relationships. There was no indication that Sally had such a relationship with other slaves. According to Sally’s son, Madison, while young, he and his siblings “were permitted to stay about the ‘great house,’ and only required to do such light work as going on errands”. At the age of 14, each of the children began their training. The brothers learned from the plantation’s skilled master of carpentry, and the daughter was taught the skills of spinning and weaving. The three boys all learned to play the fiddle, while Jefferson played the violin. 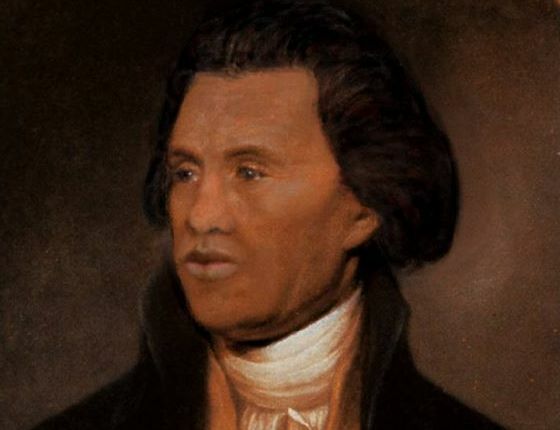 Jefferson was determined through DNA testing conducted in 1998, to be the father of, at least, Sally’s last son, Eston Hemings, He is reputed to be the father of all six of her children. Jefferson also served as Benjamin Franklin’s successor as minister. During this period, he avidly studied European culture, sending home to Monticello, books, seeds and plants, statues and architectural drawings, scientific instruments, and information. In 1790, he accepted the post of Secretary of State under his friend George Washington. 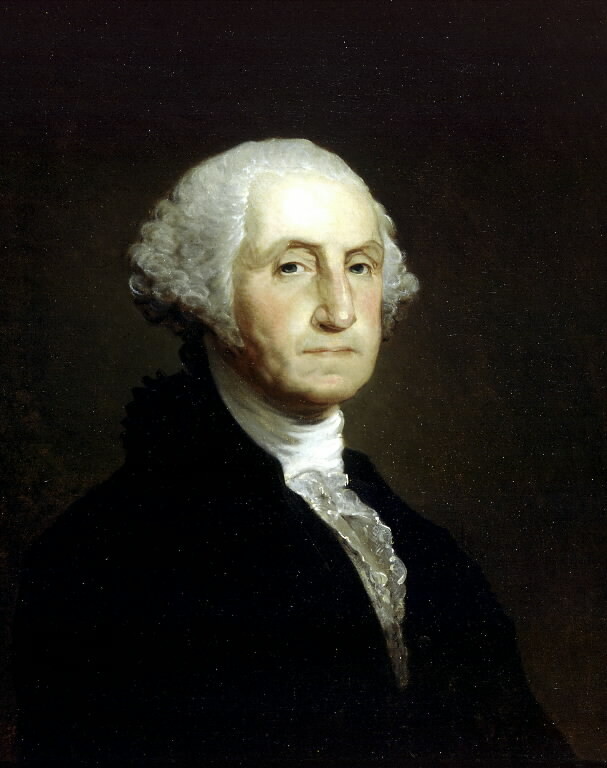 His term was marked by his opposition to the pro-British policies of Alexander Hamilton. Along with James Madison, he founded the Democratic-Republican Party, the second political party in the United States, organized to oppose the centralizing policies of the Federalist Party run by Alexander Hamilton. 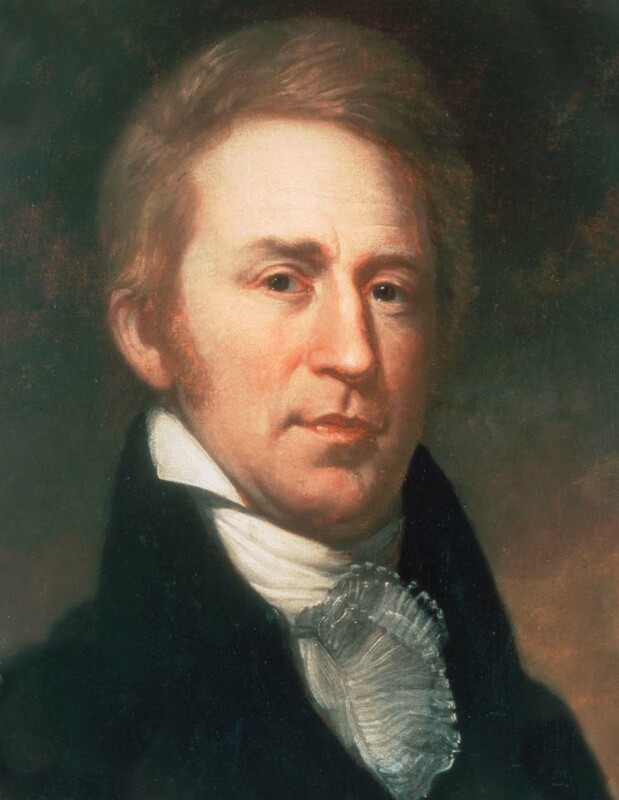 In 1796, as the presidential candidate of the Democratic Republicans, he became vice-president after losing to John Adams by three electoral votes. 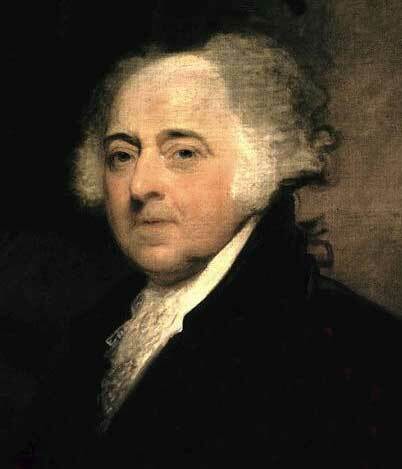 Four years later, in 1800, he defeated Adams and became president, the first peaceful transfer of authority from one party to another in the history of the young nation. The Democratic-Republicans, aka as the “Jeffersonian Republicans,” came to power with Jefferson’s election in 1800, and dominated national and state affairs until the 1820s. 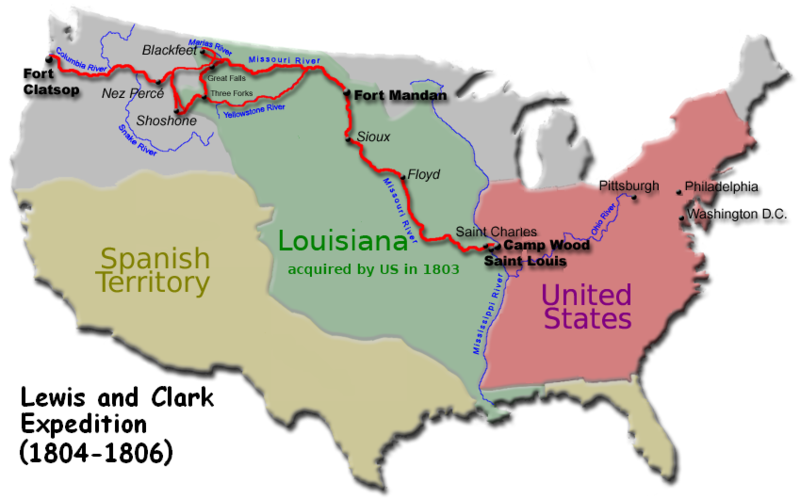 The Lewis and Clark Expedition. His second term is most remembered for his efforts to maintain neutrality in the midst of the conflict between Britain and France although his efforts did not avert war with Britain in 1812. The last 17 years of his life were lived at Monticello. During this period, he sold his collection of books to the government to form the nucleus of the Library of Congress. At the age of 76, he founded the University of Virginia. He spearheaded the legislative campaign for its charter, secured its location, designed its buildings, planned its curriculum, and served as the first rector. Jefferson died on July 4, 1826, just hours before his close friend, John Adams, on the fiftieth anniversary of our nation’s day of independence. He was eighty-three years old and a faithful and tireless servant of his country for over five decades. He authored the Declaration of Independence and the Statute of Virginia for Religious Freedom. He voiced the aspirations of a new America as no other individual of his era. 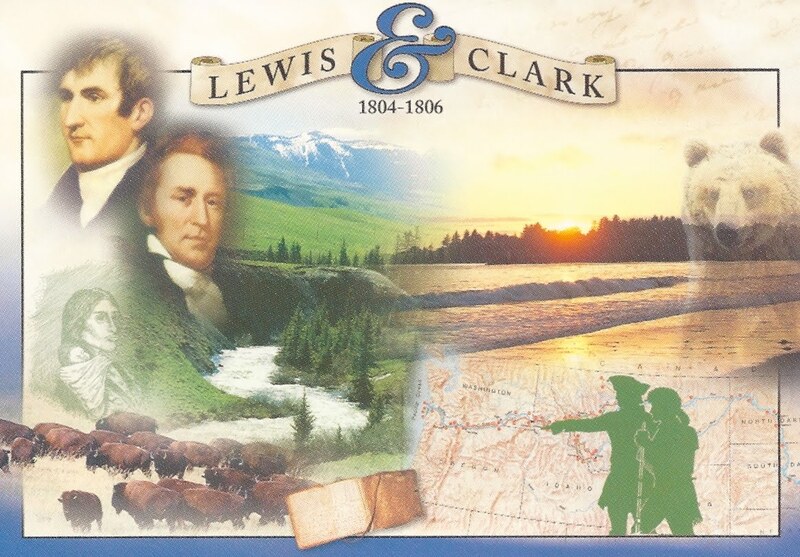 Watkuweis was single-handedly responsible for saving The Lewis and Clark Expedition, although they never even knew. 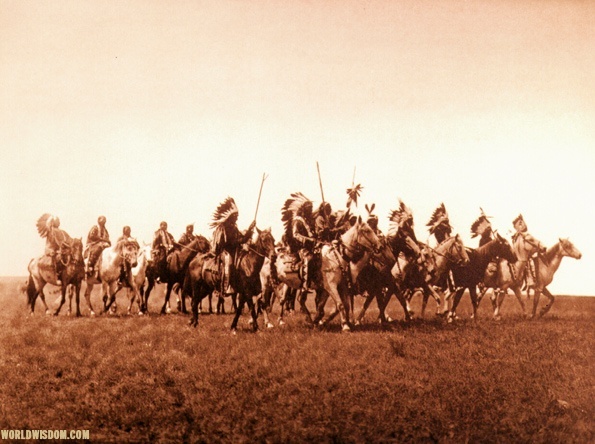 It would have been an easy matter to kill them and take possession of their guns, ammunition, and trade goods, thus ensuring the Nez Perce’s dominance over other nations, and several of the warriors advocated doing just that. 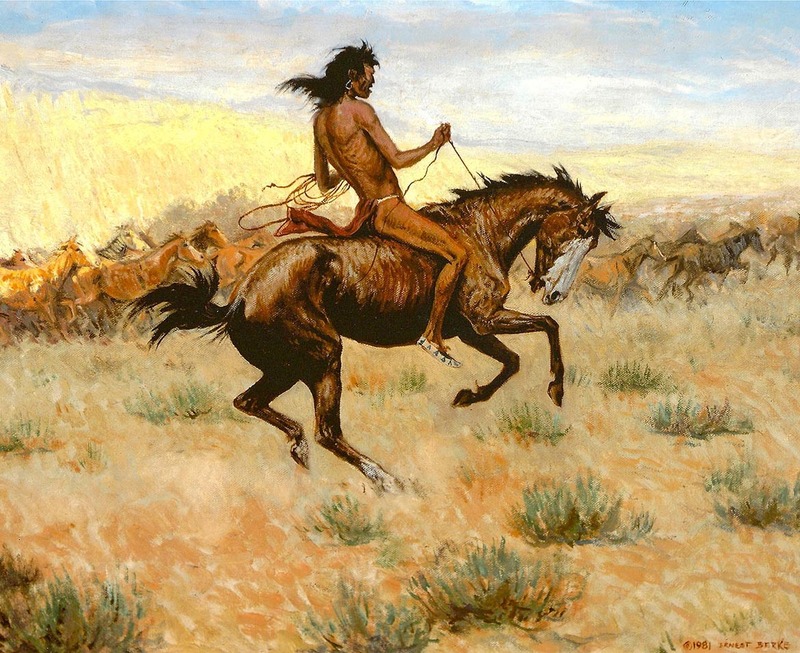 The story of Watkuweis has been handed down in the oral history of the Nez Perce tribe. 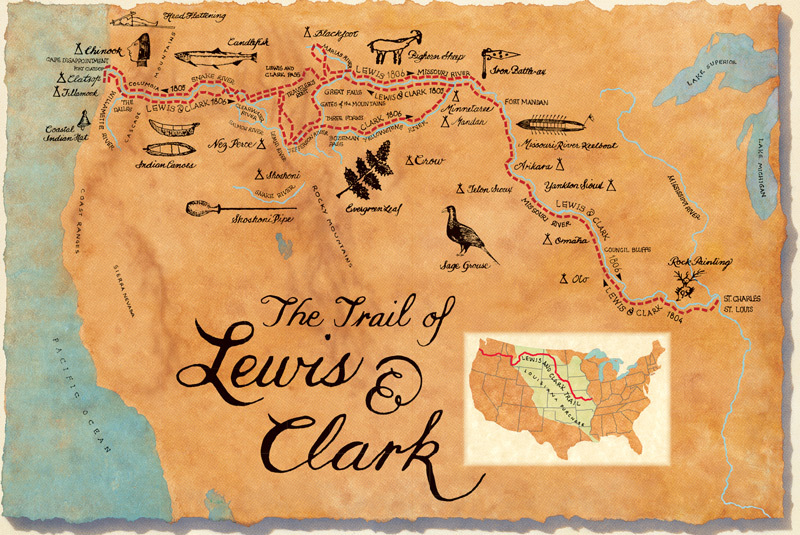 Lewis and Clark never even knew, so of course they recorded nothing of the event. Clark did meet her and recorded in his journal about the woman who had been captured by the Minitarries of the North and had seen white men. 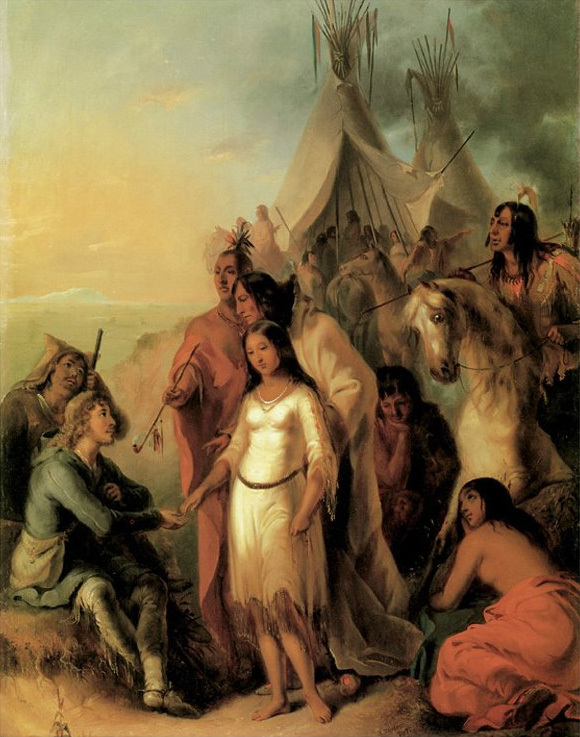 Watkuweis, whose name means “Returns from a Far Land,” had been captured, taken to Canada, and then traded between tribes until she ended up far away in the Great Lakes region. She had been purchased by a white man and lived for a time among the whites. According to the stories she was the first of their tribe to see white men and return to tell about it. After she had given birth to a child she determined to escape. With the help of the friendly whites, who supplied her with food and a horse, she began her long journey back to her tribe. She was on her deathbed when the strange party of white men arrived with their Shoshone guide. 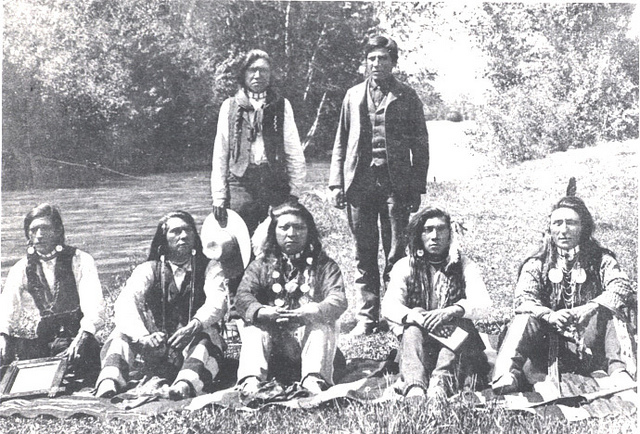 Their arrival immediately aroused suspicion because the Nez Perce had recently sent a group of their men to try and establish peace with the Shoshones, but the Nez Perce delegation was killed. They felt vulnerable, since many Nez Perce warriors were absent from the village at this time, having gone to revenge their fallen tribes. 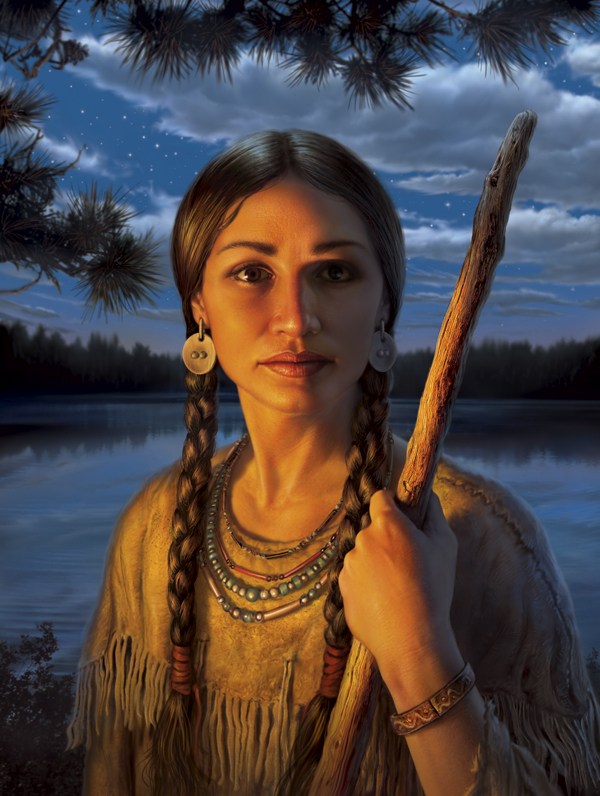 You know of Sacajewea, but have you heard of Marie Dorion? She was the second woman to make the long trip from Missouri to the West Coast. She was in her early 20’s at the time her husband, Pierre Dorion, was hired as a guide and interpreter for the Wilson Hunt Party of 1811. Marie, along with her two children, Baptiste (approx. age 4) and Paul (approx. age 2), were brought along. After they tried, unsuccessfully, to travel the Snake River in Dugout Canoes, the ill-fated Wilson Hunt party met with hard times. Around what is now Burley, Idaho, they had to abandon their canoes. 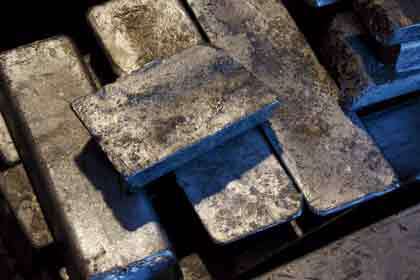 With most of their trade goods cached, each man, carrying a 20lb. pack, began walking toward their goal of Fort Astoria which was located on the coast. The party divided into smaller groups, hoping it would be easier to find food. 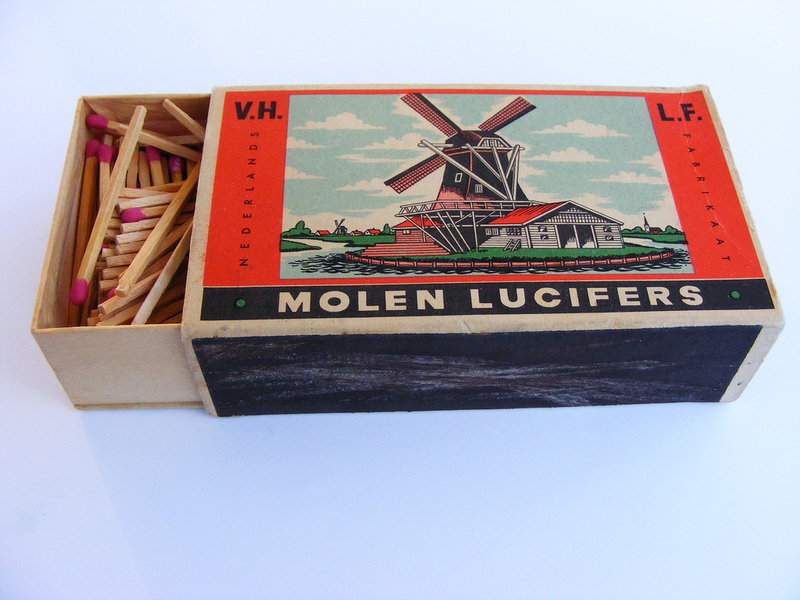 From journals members of the party kept, we know how desperate their situation became. On November 18th, around Glen’s Ferry, Idaho, they were able to trade for salmon and dog meat. On November 27th, they found frozen blackberries and divided the meat of one beaver among their group. Remember that, all this time, Marie was carrying her two children and was also pregnant! Her baby was the first, with mixed blood, to be born in the Western land. In their sad state of starvation, however, the baby did not survive. Marie carried her burdens, of body and soul, without complaint and earned the admiration and respect of all the men in the party! 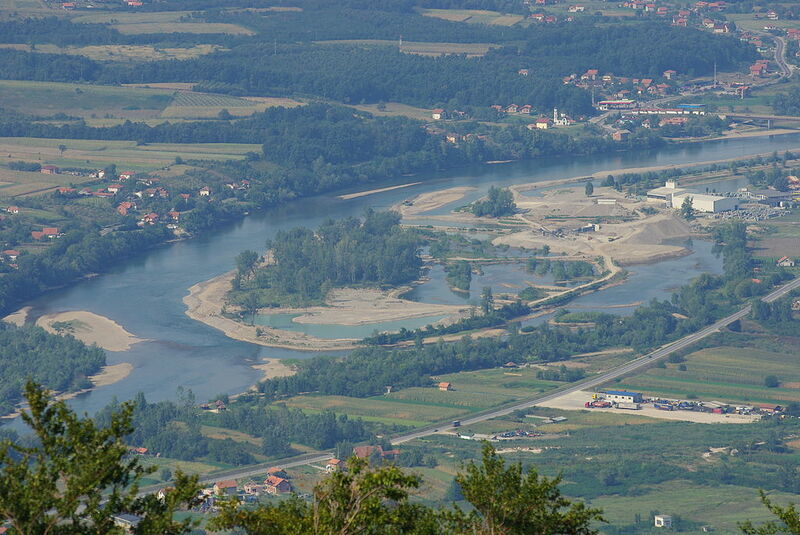 Amazingly, all but two men lived, arriving to the fort on February 15th, 1812. Marie may have thought her hard times were over, but it was not to be. 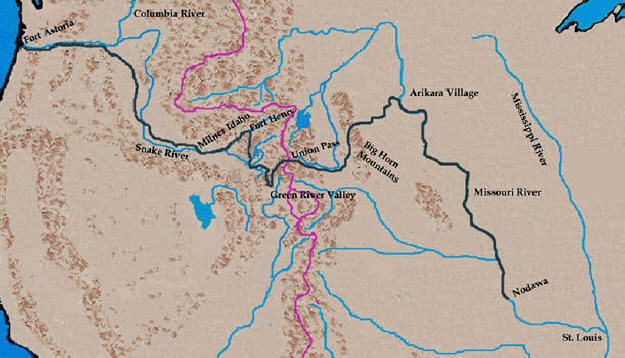 In the Summer of 1813, Pierre Dorion was assigned as a hunter for a trapping party headed to the Boise River. They built a cabin on the Snake, where trapping was good, near the mouth of the Boise River. 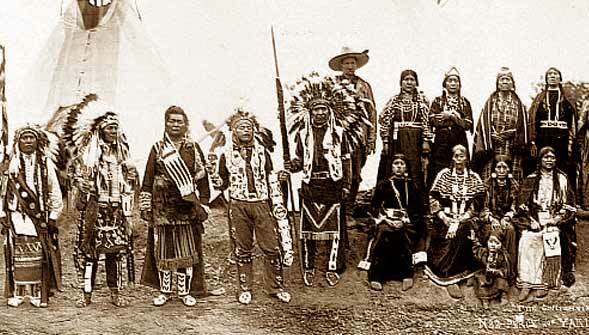 In January they were attacked by Bannock Indians. Marie and her husband, along with Jacob Rezner and Giles LeClerc, were trapping from a camp about 5 days away from the main cabin. LeClerc, severely wounded, made his way back to camp to bear the bad news to Marie that her husband and Rezner had been killed. Marie caught two horses and hoisted the wounded LeClerc over one saddle, along with what supplies she could hastily pack. 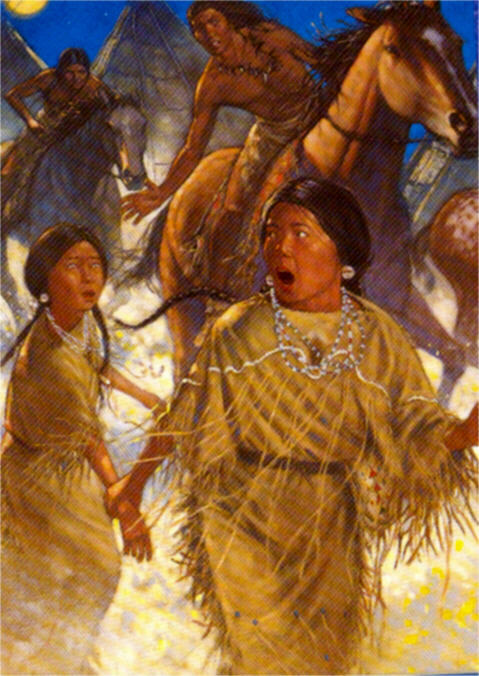 With her two children on the other horse, she forged her way back to the main cabin. LeClerc died that first night, but Marie and her children continued on, arriving late on the fourth day only to find ashes where the cabin had once stood. Determined to save her children, she forded the Snake River and followed their old trail back from Astoria. Nine days later the snow became too deep to continue. In a sheltered ravine, she built a primitive hut by using skins thrown over a framework of branches. She killed the two horses for food. This shelter was their home for 53 days. 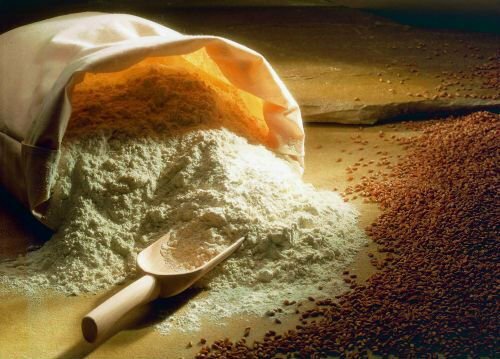 By the end of March their food supply had become desperately low. 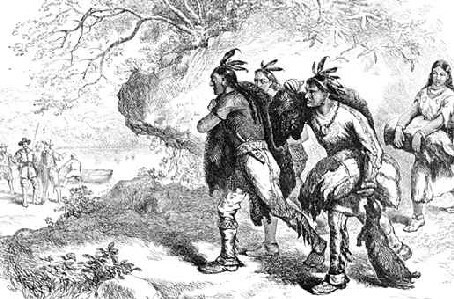 Marie set out on foot, holding the hand of her oldest and carrying on her back her youngest child, along with what was left of their food. On the second day of travel, Marie became snow blind, and was unable to take a step further. She remained in this condition, for three days, before starting out on foot again. 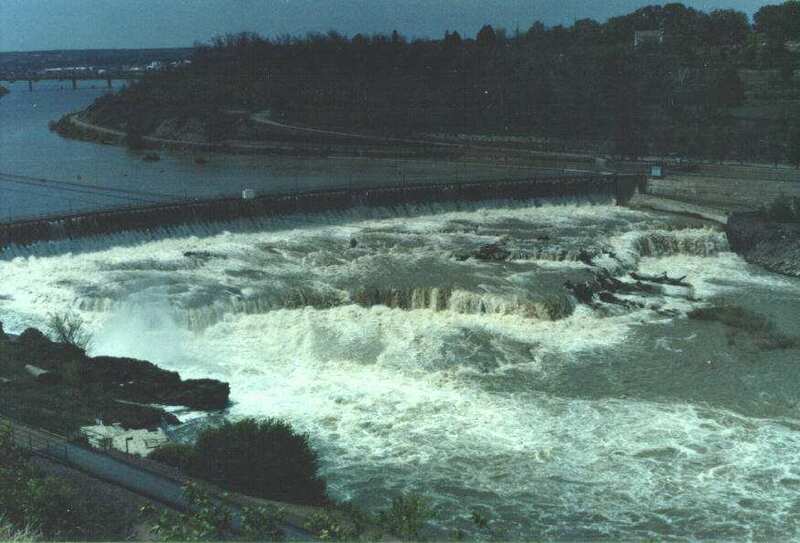 Finally, she reached the Wallah Wallah River and then traveled for 15 more days to reach the Columbia River Plains. Weak from hunger, and barely able to walk, she saw smoke in the distance. Leaving her children lying under a Buffalo robe, she walked, and then crawled, to reach that distant camp. It turned out to be friendly Wallah Wallah Indians, who tracked back to rescue her two children. On April 17th, canoes from Fort Astoria, approaching the mouth of the Wallah Wallah, were intercepted by this tribe. When they pulled to shore they were amazed to hear of Marie Dorion’s story of survival under such hardship! Used with permission from The Women of The Fur Trade and with special thanks to Sandy Gabbert Hunt, who did a 5 day trip down The Snake River, in a bull boat, on the 200th anniversary of Marie Dorion’s trek! Isabel (Isobel, Isabella) Gunn, 1 of 6 siblings, was born on the Orkney Islands off the north coast of Scotland in 1780 or 1781. She was the daughter of John Gunn and Isobel Leaske. Life in Orkney, at the time, consisted of intense labor, hardship and poverty. The women looked after the farm. 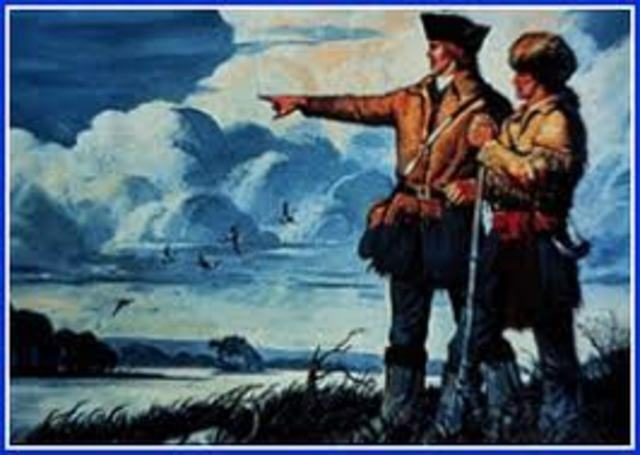 The men either joined the British Army to help defeat Napoleon, fished to survive, or they joined the fur trade. Not much is known about Isabel until the summer of 1806, when John Fubbister came to be. Guised as a man, Isabel/John entered the male dominated world of The Fur Trade by agreeing to a three year contract with The Hudson Bay Company for a whopping annual salary of 8 pounds. This salary, however meager by today’s standard, was far more than Gunn, or any woman, could hope to make during that time and in that place. Hudson Bay Company policy did not allow European women to be in their employ. First Nation aboriginal women were barely allowed to serve as cooks or domestic servants, and only at company outposts. Gunn’s story holds many rumors. Was she enticed by the stories of adventure, via her brother George, who was already a member of The Company? Was the thought of being away from a faithless lover, John Scarth, whom she might have met while he was on leave from HBC in 1805, so unbearable that she acted in such a manner to remain close to him? Was she taken advantage of by this same John Scarth, who threatened to uncover her ruse as a man, while they were both employed by HBC? No matter. Cloaked as a male, and by way of her boarding The Prince Of Wales ship in June of 1806, Isabel subsequently and unwittingly became a pioneer of feminism as she became the first European woman to travel to Rupert’s Land, a part of Western Canada. She also became the first woman, of European descent, to give birth in the North West. 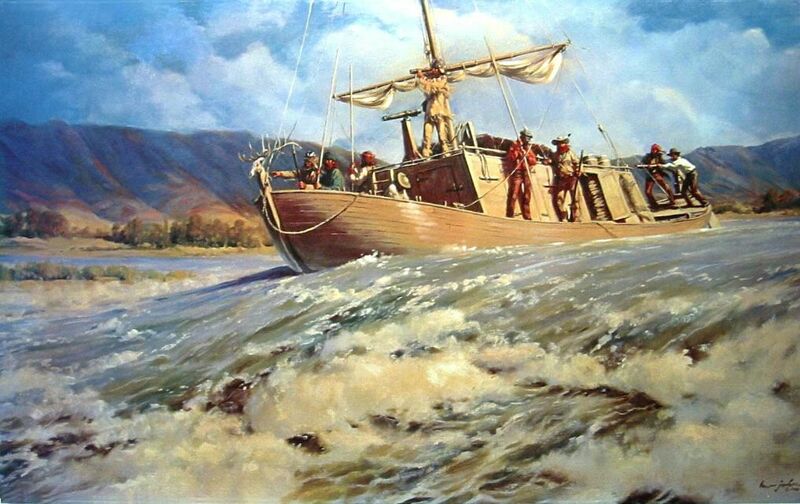 Working on the boats, collecting furs, and running supplies was dangerous and physically demanding work. Isabel would have been required to hoist as much as ninety pounds on her back. She would have experienced harsh weather and the scarcity of food and less than sanitary conditions in a mosquito infested wilderness. 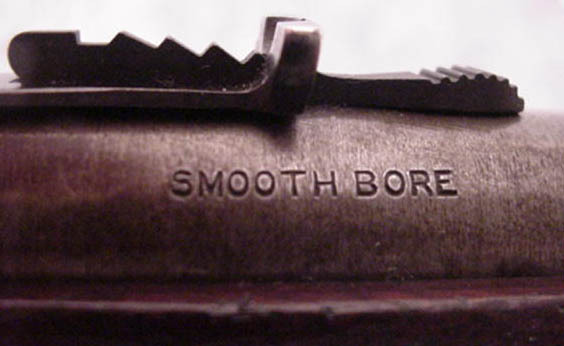 Life was hard for the men. Imagine the difficulties for a woman who was also hiding a pregnancy. Yet no one suspected she was not a man. She dressed as a man, acted and worked as one. No one questioned her. The jig, however, was up. After the birth of her son, James, she became known as Mary Fubbister in The Company and was ordered to return to Albany. She was no longer allowed to work among the men and was offered the menial position of a washerwoman, a position at which she did not excel. Once her son was baptized by Schoolmaster William Harper, in October, an unmarried and considered “ruined” Isabel/Mary was forcibly returned to Scotland on September 20, 1809 on the very same ship that she had first departed. Although John Hodgson, the chief factor at Albany, seemed sympathetic toward Isabel, The Hudson Bay Company upper echelon had concern about supporting a woman of “bad character.” Isabel never again returned to Canada. She lived in Stromness, working as a seamstress, and was likely an outcast even to her own Scottish family. John Scarth, returned to The Orkneys just once in 1812. He went on to marry a Cree widow in 1822. He passed away in 1833. Isabel died many years later on November 6, 1861. Isabel’s known and imagined adventures became a work of historical fiction by Audrey Thomas. A documentary poem titled The Ballad of Isabel Gunn was penned by Stephen Scobie. She became the subject of a documentary film, The Orkney Lad: The Story of Isabel Gunn, directed by filmmaker, Anne Wheeler. Canadian folk singer Eileen McGann also paid homage with her moving ballad called Isabella Gunn. A link of this ballad is included below. Life in the early 1800’s was brutally hard, for men and women, both in the settlements and in the wilderness. On average, the life expectancy of a woman was 25-30 years old. For men, it was 35 years old. Women of European descent were known as “Tender Exotics” and were almost unknown in the fur trade, with many developing mental health issues and returning to the motherland or eastern cities. Most of the problems encountered by these women had their roots in the class-conscious nature of British society of the time. 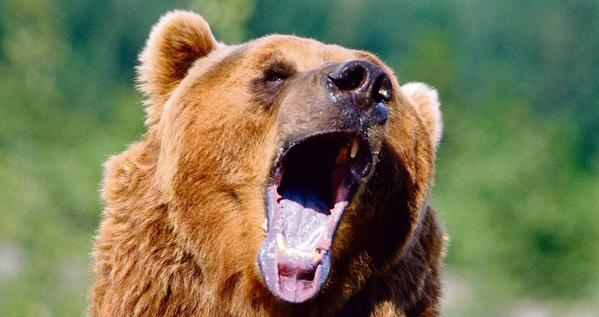 The wife of a fur company manager was expected to associate only with other women of her class. In the remote posts, there would be no-one else at that level, and it wasn’t proper or allowable for her to associate with Indian or mixed-heritage women, even if, by some remote chance, there wasn’t a language barrier. As a manager’s wife, servants took care of the domestic tasks about the house. Thus, she felt very little purpose, with the exception of being there for her husband, who was gone, sometimes, for several months at a time. Wilderness conditions and societal demands created a “rock and a hard place” environment in which “Tender Exotics” lost their will. On the northern plains and Rocky Mountain regions, the role of the Indian women, in the affairs of the tribe, was as the authority in domestic matters, with primary responsibilities for housekeeping. From the European perspective this role, in many ways, had a greater resemblance to slave than partner. 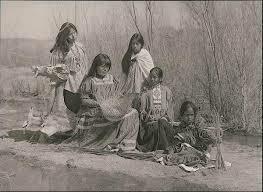 The women were responsible for child rearing, cooking, butchering, preparing hides, skins, and robes, gathering firewood, preserving foods, all aspects of agriculture (if any) making and mending clothing and moccasins, constructing the lodge and most aspects of establishing and raising camp. Tanning and preparing buffalo robes was very labor intensive, and an ambitious man wishing to increase his wealth might have multiple wives to increase robe production. Women were often treated as property. A suitor for marriage would have to provide the woman’s father (or oldest brother in the event that the father was deceased) with a horse, guns, blankets, kettles, etc., in exchange for the woman. The bride’s price was determined, in part, on the value placed by the father on the loss of the woman’s productivity and work around the lodge. To become the wife of a fur trader, the Indian woman was offered the prospect of an alternate way of life that was often easier physically and richer in material ways. Such an alliance did require some sacrifice in personal autonomy as the Indian woman was forced to make some adjustments to the traders patriarchal views of home and family. One Nor’Wester noted that Cree women considered it an honor to be selected as wives by the voyageurs. An Indian woman, who married a trapper/trader, might remain with her village where he would visit her periodically, or she might live at the fort/post with her trader husband, or accompany the nomadic wanderings of her trapper husband. 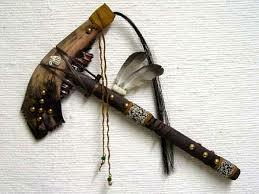 It is said that the only authority that the Free Trapper would acknowledge was that of his Indian spouse. This authority was asserted as much with a white spouse as well as with a man of her own tribe. The household was effectively the property of the woman, and to a certain extent the products of her labor were hers to dispose of as she wished. In some aspects the Indian woman enjoyed considerably more autonomy than her European counterpart, at times leading to considerable confusion amongst the patriarchal trader/trappers. If she remained with the village or accompanied her trapper husband, her life probably didn’t change much from village life, except that she would have first access to many luxury items not available to other women. Indian wives expected and received lavish gifts, for their husbands strove to exhibit them as the most brilliantly clothed and ornamented of the women whether at the village, post or rendezvous. Because there were no clergy in the mountains, marriages were “after the custom of the country” or an indigenous marriage which met both the needs of the trader and the natives. The Indians initially encouraged the marriage alliances between their women and the European and European descent traders. The Indian viewed the marriage in an integrated social and economic context, whereby the marriage created a social bond which served to consolidate economic relationships with the traders. In return for giving the traders sexual and domestic rights to their women, the Indians expected reciprocal privileges such as access to posts, provisions and trade goods. Among the Cree Indians it became customary to reserve one or more daughters specifically to offer as wives for the traders. The benefits of marriage also accrued to the traders. It didn’t take traders long to realize that marriage to a daughter of a leading hunter or respected chief not only secured the furs of the father-in-law, but of all his relations as well. Marriage to an Indian woman furthermore provided the trapper/trader with a translator and cultural liaison/ambassador within her tribe. 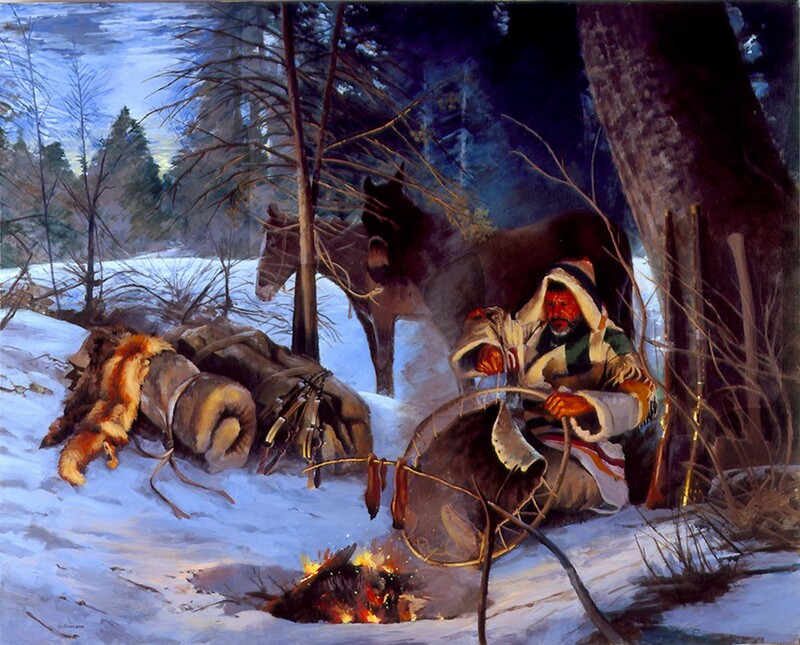 The domestic chores performed by the Indian woman greatly assisted the trapper/trader and greatly enhanced his ability to successfully prosecute his end of the fur trade. 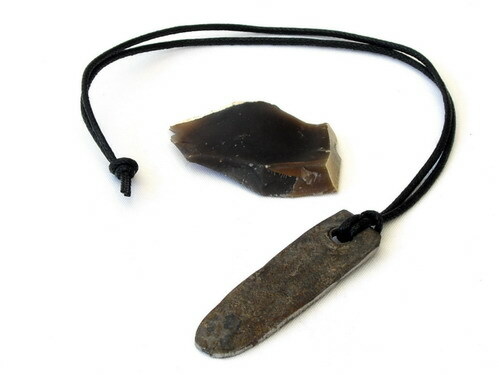 Trappers, who chose to raise mixed blood families, often found themselves acting as mediators between the two cultures, interpreting each to the other and many would even find themselves aligned with their adopted people in times of conflict. Women and children often traveled with the trapping brigades. If it was not possible to travel with their husbands, the women might return to their tribal families, or might camp near the trading post until their husbands returned from the hunt. Marriage was not always viewed as a long-term commitment by either the trapper/traders or by the women. A fur company man might also have multiple Indian wives, with one or more tribes in the mountains, and a European descended city wife as well. 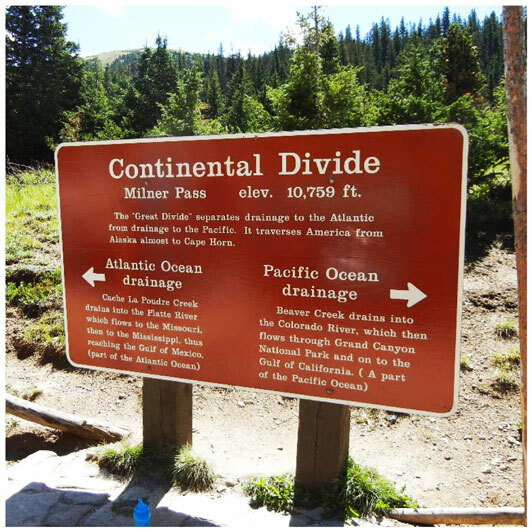 Under these circumstance care was exercised so that the city wife would never meet the “country” wife (wives) or children in the event she should travel to the remote post where he was stationed. 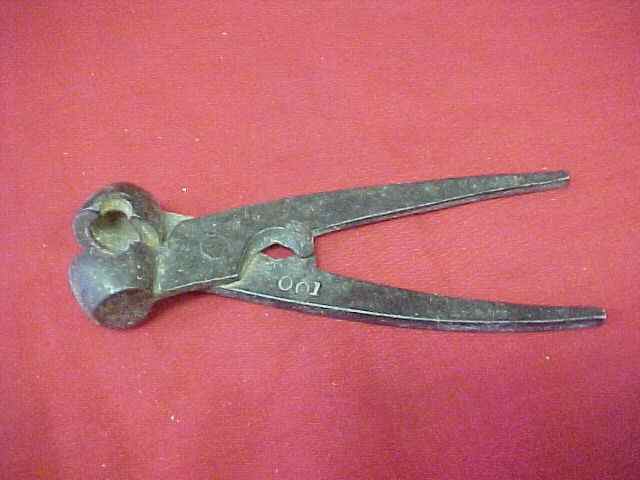 Although the stereotype of the trapper would suggest that he had many wives, often at the same time, statistical analysis of marriage data suggests otherwise. Marriage data shows that most trappers had only one wife, and that marriage lasted on average for 15 years with the majority of these marriages terminated by the death of one of the partners. Second marriages also lasted on average for 15 years. 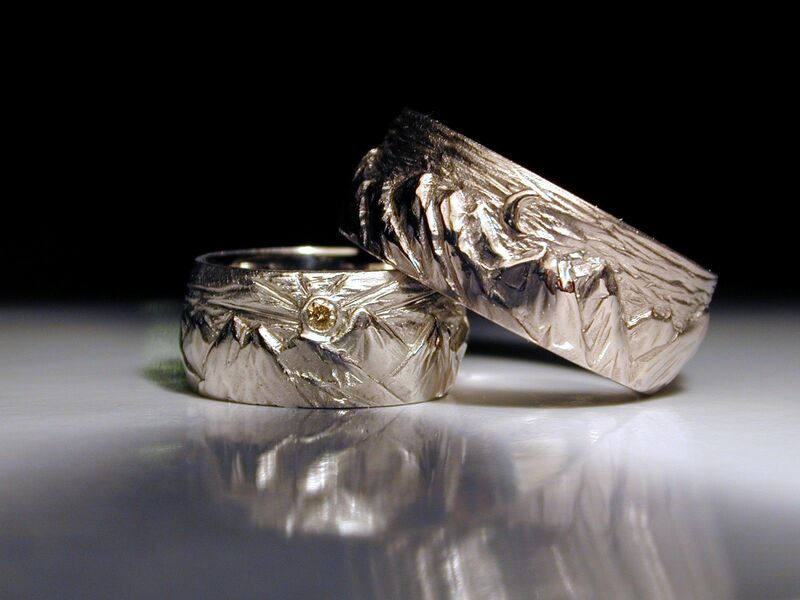 Only 10 percent of marriages are documented to have been terminated by separation or divorce. Nearly half of all marriages were with Indian or mixed heritage women. Anglo-American and French-American women constitute about one-quarter of marriages. 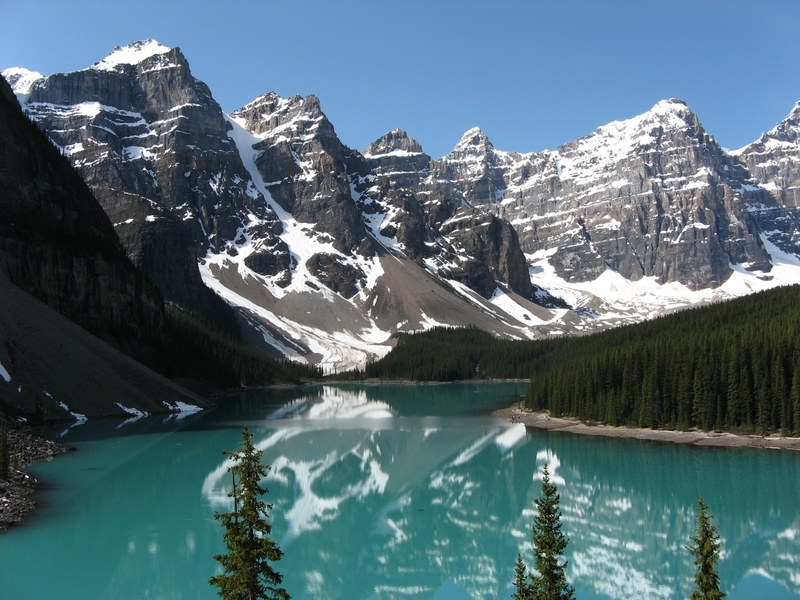 In most of these cases, the wedding took place prior to the man leaving for the mountains. About 17 percent of women were Spanish or Spanish-American, particularly with those men that frequented Taos or Santa Fe. Of those men with women that remained behind in the settlements, it is unlikely that they remained celibate while in the mountains trapping. Unrecorded temporary liaisons with Indian women of very short duration for purposes of relieving sexual tension were probably frequent. 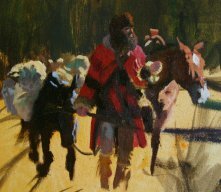 In some cases, when a trader or trapper retired from the mountains to return to civilization he would “turn off” his country wife, that is simply leave her behind, and, if generous, would return her to her village before leaving. A woman who was “turned off” would return to her father’s lodge (or brother’s lodge should the father be deceased) where she would work for the household until another suitor purchased her hand. The Indian women didn’t anticipate that such relations would be permanent. A woman could initiate divorce just as simply as the man. If an Indian woman decided to divorce her husband, she would simply put his things outside the door of the lodge. When the man returned, he had two choices. He could try to talk his way back in, or he could simply pick up his belongings and move on. 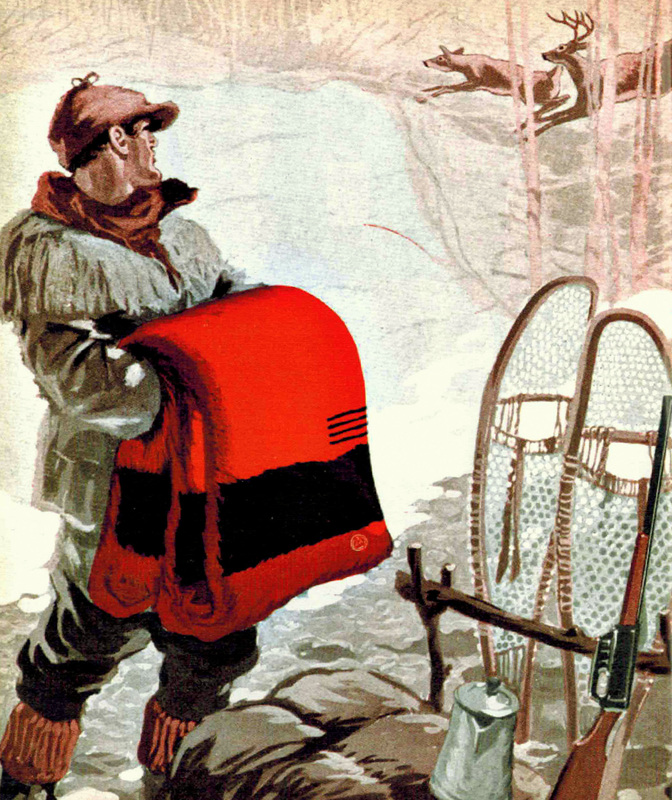 The trapper would often “turn off” his Indian wife on retiring from the mountains. Although some of the men, particularly officers in the Hudson’s Bay Company and North West Company, would provide an annuity for their women and dependents, far too many simply disappeared from the lives of their native families. In other cases, if the relation wasn’t working for the trader or trapper, he would directly attempt to sell his wife and recover some of the bride’s price. 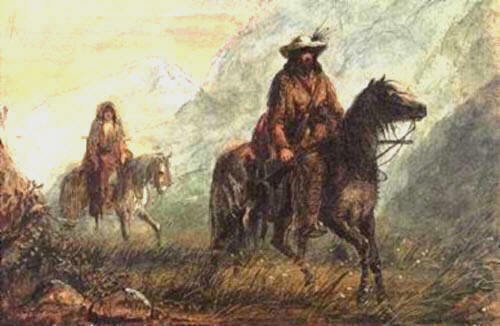 Dr. Wislizenus, a traveler in the mountain west in 1839 writes of meeting a party of trappers including one Fleming: “He had a squaw with him, of the tribe of the Eutaws, whom he had bought at one time for $500.00, but was disposed to sell for half the purchase price. She was a little, unshapen bundle of fat; but otherwise seemed to have very good qualities, for he recommended her to us in the following terms, characteristic of the cardinal virtues of a squaw: ‘She is young, gentle, easy, and in first rate order.” Wislizenus does not mention if the trapper successfully sold the woman to anyone in his party. Perhaps even more so than the native men, the Indian women welcomed the introduction of European technology. 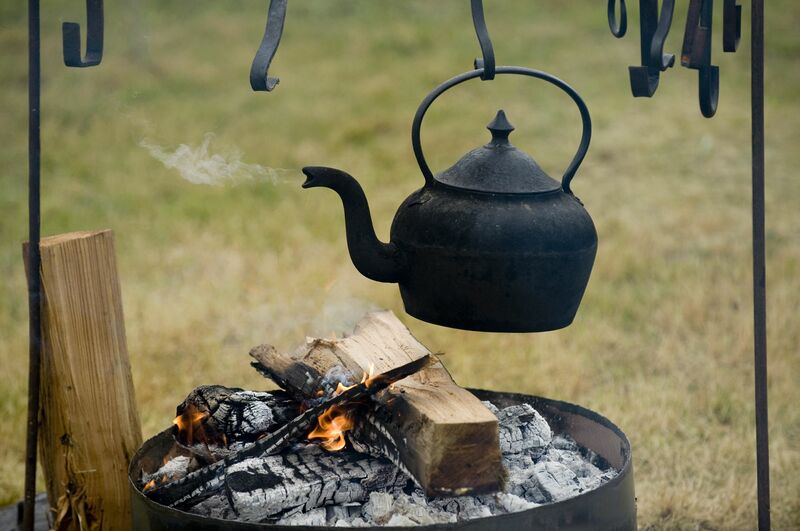 Items such as kettles, knives, awls and woolen and cotton fabrics greatly eased the domestic burdens of the women. In many instances it was the Indian women who acted as an ally or peace-maker to advance the cause of the fur trader, suggesting that it was in the woman’s interest to do so. There are documented cases where Indian women actively interfered in attacks by their warrior-husbands on fur traders. Furthermore, because of her gender, the Indian woman could be absorbed into fur-trade society in a way not open to the Indian man.